It is difficult to narrow down what Blackie’s strengths are because there are no weaknesses. His class is his ridiculous knowledge, his thirst for gaining more and his ability to apply it all to an athlete. Blackie treats everybody as an individual and has always found the best way to help me to get better, just by being myself. His flexibility means he has been able to train me to the maximum in any environment, under any time constraints and in any circumstances (normally involving me being injured and unable to use the majority of my body!). He knows sport and understands pressure having been there and done it himself. Everything he teaches is about staying specific to your goal and visualising yourself being great so that no negative energy is wasted elsewhere. He leads by example and has only ever asked one thing from me: that I am honest in saying that I really want it and that I turn up and give him all that I have got. I discuss my goals with Blackie numerous times every season and then I know that I don’t need to ask any more questions. I trust him that much and without him I simply wouldn’t be here. Blackie has kept me going, kept me training and kept me improving every day. I have worked with Dave since I was 16 years old. He revolutionised my understanding of kicking and changed the course of my career. I was an average kicker at best and he showed me that it was truly possible to take full control of your abilities. Dave always knows exactly what I’m talking about, even when I’m making no sense. This is because he possesses the proof. By this I mean he not only gives you the ‘how to’ but actually then goes and does it himself. I will never forget the first few times he kicked in front of me. I couldn’t believe we were using the same ball. Dave has been there too, kicking at the highest level in rugby league, union and American football. His principles cross to any sport and he is currently changing professional golfers’ lives too, just like he changed mine. Dave’s amazing ability to use metaphor and conjure up images to help explain his points is phenomenally powerful. He has given me technique and understanding which holds up under pressure and has been there for me without failure from day one. John Fletcher knows his stuff inside out and always gives you the details you need for the ‘how to’ part of coaching, but his skill is that he knows how to communicate it. He has knowledge and incredible people skills. I met John when he came to coach the academy up at Newcastle Falcons. I instantly recognised the respect that the young players had for him. All the players did, not just the ones playing in the team but also the ones who never made it. When he became head coach I experienced it myself. Fletch created a great team environment and guided his players brilliantly, but he also spent time with everyone. He listened, made the effort to understand each individual and made us all feel important. With very few people have I ever felt such a good balance between being coached and being given the freedom to express myself and my ideas. As a team, I don’t think we ever performed so consistently well as we did under Fletch’s reign. 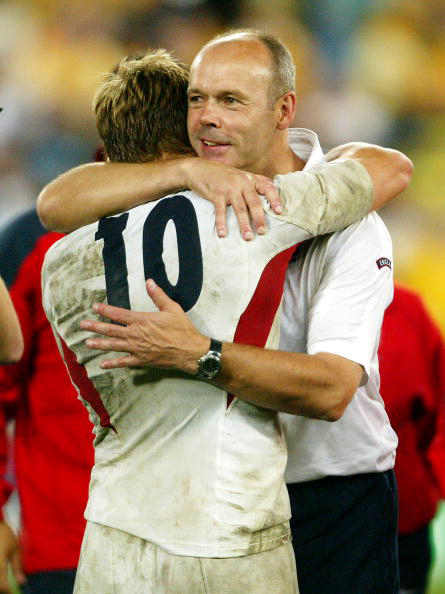 Everybody knows that the Clive Woodward era of England rugby was a productive one, but it did not come about without a huge amount of effort and great leadership. One of Clive’s main strengths was his ability to combine learning lessons from defeat with creative decision making and forethought. He had a fantastic way of leading change. This often entailed taking big risks and some fairly serious tactical shifts but he took the pressure of those potential outcomes on himself and left us with nothing but the confidence and the motivation to go out there and believe in ourselves. Doing things differently to how they have largely been done before takes courage and conviction. Doing the same thing without deep understanding and awareness of what is required to make it work is actually irresponsible. 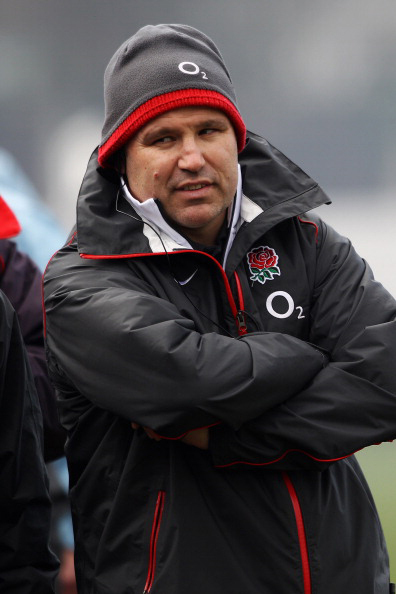 Clive put in place an amazing set up which ensured he could take England rugby in a new direction. He never stopped thinking outside the box in innovative new ways, but at the same time he never lost sight of what rugby had taught him and the lessons we went through together. All of these abilities came together to enable Clive to lead a victorious World Cup campaign. Clive was at the head of the team, but also spent huge amounts of time with every one of us, ensuring we were happy, looked after and ready to be our bests. It was an approach which was to bring us all the reward we ever wanted. There are approximately 1.1m people involved in coaching in the UK and with the London Olympics just months away, Gillette has launched its ‘Great Start’ campaign, which aims to celebrate coaches and inspire the next generation. Gillette is awarding ‘Great Start’ grants in 2012 to help both existing and new coaches gain qualifications. Applications can be made via www.facebook.com/GilletteUK – just click on the ‘Coaching’ link.